The nose section would be included. 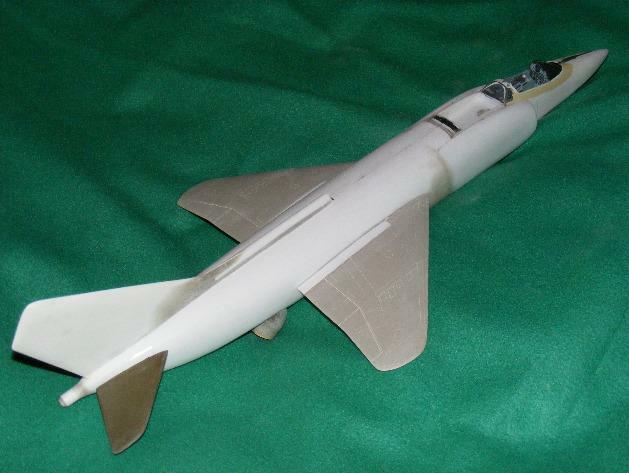 2 nose sections, 2 aft sections, 2 intakes, and a canopy make up the whole shebang. Lee, it occures to me that you may get more milage out of the balsa molds if you were to paint it with epoxy and then wet sand them. It would harden up the surfaces to better withstand the process. So far your model is coming along just wonderfully. Keep it up. That is interesting Sabre - I do the same thing with superglue (Cyanoacrylite) - especially if it is old and going-off a bit. A few coats, followed by sanding (and it does take a fair amount of effort) produces a glass like appearance (and almost as hard!). One of thr reasons I use old, or thicker viscosity of Cyano, is because if you use fresh, very thin, Cyano, it dries so fast within the balsa wood fibres that it becomes very hot - to the point that the wood beginse to smoke - so you have been warned! I tried epoxy before, it does work, but leaves to many air bubbles for my liking. I find warming up the epoxy on a radiator for a while after mixing it really thins it to the point that it is easily purable, and soaks into the balsa really well. Here is an update- I was able to put in an honest 4-hours yesterday, and am happy with the progress. 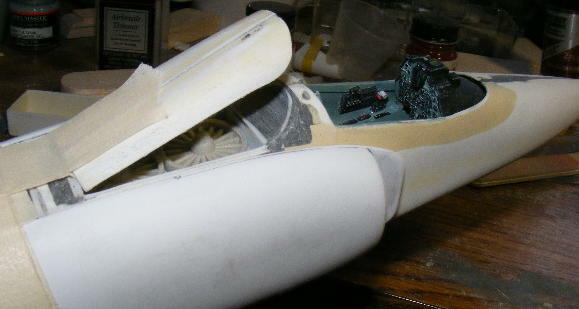 You can see me mess-ups on the nose section pretty well, as seen by the abundance of tan and black epoxy putty bits. More sculpture than model with that stuff. Beautiful build here Lee! I'm really looking forward to seeing more. Keep up the amazing work! 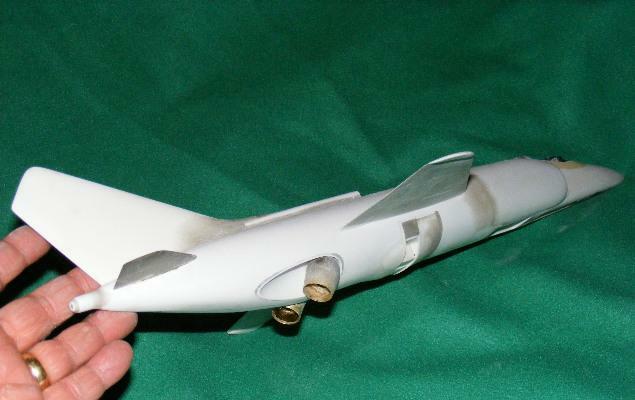 This is brilliant work I'm loving the way you've broken the fuselage down to fit on your machine, and it still fits back together! Can't wait to see your latest pics. Thanks for your kind words. I have been watching your Meteor build, and am awestruck by the ingenuity involved in making it. That is modelling!! I might try the auto lacquer, if I can firm up the molds without many hours of work. model time is a t a premuim now, can't afford to lose too much!!! 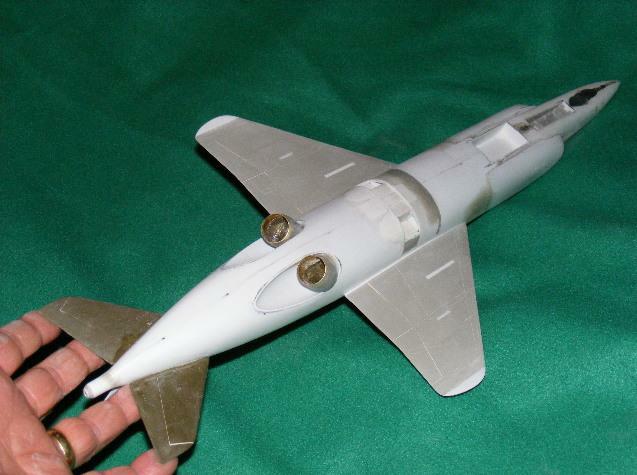 Thanks for noticing the breakdown of the parts- my idea was to assemble the aft fuse first, then add the intakes. These were easy to line up, as I could refernce them against plans, then each other to make them symetrical. Te resultant gap was wide enough for the forward fuse, and the intakes prevented the forward section fron "yawing" or "rolling", and some close work with a straightedge kept it from "pitching" so it was lined up in all 3 axis. 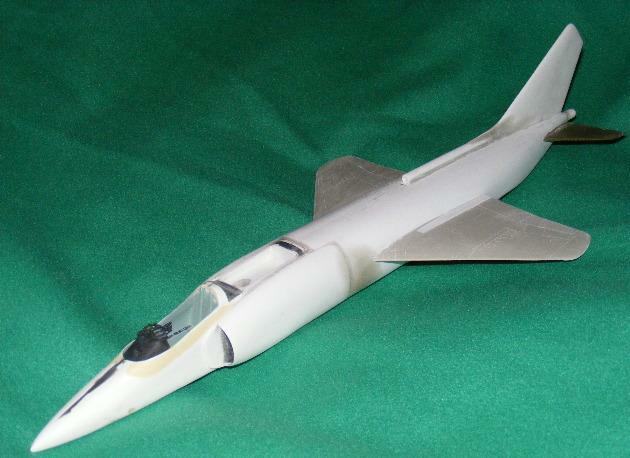 I plan on using this on my next home-brewed model, which I think will be a 1/32 TSR.2, but i have to find some refs first.